Audi cars price starts at Rs. 33.12 lakh for the cheapest car A3 and goes up to Rs. 9.15 crore for the top model Audi A8. Audi offers 14 new car models in India. A3 (Rs. 33.12 lakh), R8 (Rs. 2.72 crore) and Q3 (Rs. 34.75 lakh) are among the popular cars from Audi. In the year 2019/2020, Audi is going	to launch 8 new models in India. 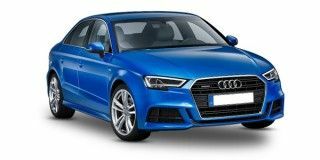 Select a Audi car to know the latest offers in your city, prices, variants, specifications, pictures, mileage and reviews. We’ve always looked at the Q5 as a jack-of-all-trade sort but Audi claims that it’s now the ‘perfect Q’. What is the perfect quattro then, and just how much has the new Q5 changed?